Introducing GoutPal and You is aimed at all GoutPal visitors. It introduces GoutPal gout support services. And, it explains why I provide my support services for you. If you’re reading this, you’re probably a gout sufferer. Or, someone who cares for gout sufferers. I’m also a gout sufferer. I created GoutPal so that I could learn about my gout. I wanted to understand gout, so that I could manage it properly. When I first realized I had gout, back in 1995, I was confused by the lies and half-truths I read on the Internet. The only reason I looked to the Internet was because my doctor did not understand gout. I later found that 3 out of 4 doctors do not understand gout well enough to treat it properly. But, back then, I just wanted to use this website to collect information that would help me. Later, I introduced a gout forum so that I could discuss my research with other gout sufferers. 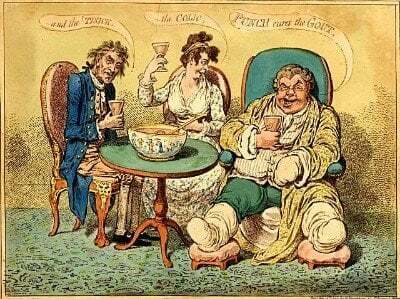 All my gout information is freely available to you. And, my gout forum continues to help thousands of gout sufferers who want personal help with their gout. Personal help is vital for managing gout. Professional rheumatologists have realized this. The professional guidelines for doctors emphasize that gout treatment must be personal. Gout therapies must be planned around individual gout patients needs. There is no reliable “one size fits all” gout treatment. But, do you get a personal gout treatment plan from your doctor? If you do not get that personal service from your health advisers, you have all my GoutPal gout support services to help you. I will help you create your own personal gout management plan. For more details see Introducing You And GoutPal. 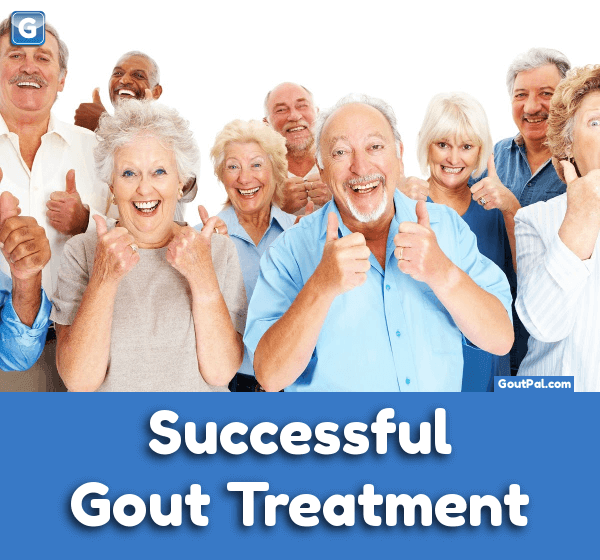 How can GoutPal help your gout treatment? I learned to control my gout safely in 2011. I have not had a gout flare since. I will not get one in future. I have not cured my gout. But, I do control it. So, I don’t really need to continue with GoutPal for myself. But, I love helping fellow gout sufferers. Therefore, I commit myself to making GoutPal easy to use for you. At the moment, you can follow links for more gout information. And, the GoutPal gout search engine will answer most of your gout questions. All you have to do is type your question into the search box that is at the top of each page. Then, if the results do not help you, you can ask for personal gout help in my gout forum. However, I want GoutPal to focus on you. I started this with Questions for Gout Sufferers. Because Gout Sufferer Types help you find information that is most relevant to you. And, they help you ignore gout information that is not relevant to you. During 2017, I will expand my indexing and labeling so that you can find this relevant gout information quickly. I will make it easier for you to make progress towards safe gout control in easy steps. I want you to tell me what will help you most. I told you six months ago – It’s Your GoutPal. I need you to tell me how I can help you best. That way, I can make GoutPal more accessible for you. And, for every other gout sufferer. But, you always come first. So, if you have questions, experiences, or opinions about gout, share them now. Make today the day you start to take control of your gout. Start your first post in the gout forum. Or, read Introducing You And GoutPal, now. Jan 20, 2017 (first archive). First Published. Jan 31, 2017 (archive). Linked to Introducing You And GoutPal.